PORTLAND, Ore. - California's hunger for green energy is causing concern among those who manage the energy grid in Oregon and Washington. When Vice President Joe Biden stumped for Sen. Patty Murray in Vancouver in October, he also trumpeted the winds of Eastern Oregon. "We are building now, in your neighboring state a little south of here, the largest wind farm in the entire world called Shepards Flats, the single largest in the world," he said at the time. "Because we refuse to be number two. We refuse to be number three. We insist on being number one." What Biden didn't say is that 100 percent of the power from this mega project is for California and that none of it is for the Northwest. Right now, 55 to 65 percent of all Northwest wind energy is for California. "California is a very big variable," said Elliot Mainzer, who is Bonneville Power Administration's guru on how to balance future energy and environmental needs here in the Northwest. When asked if he thought California was carrying its weight as far as managing those type of issues, he said "I would like to see California pay a little bit more attention to our issues, quite frankly." While wind farms create badly needed local jobs, too much wind energy can be bad for salmon when our dams are forced to spill nitrogen-saturated water so they don't create hydro-electricity when wind farms are operating at their peak. And just last June there was so much wind energy that the Bonneville Power Administration was giving away electricity for free, upsetting the economics of the system. What's also important to understand in this California equation is that most of the wind energy that we produce for California never goes to California. It stays here and California takes what is called a 'Green Credit.' That allows California to comply with its Green Energy laws and get the good public relations - all while actually still consuming its home-grown regular electricity. So with California taking all of these wind credits and the wind energy actually staying here, does that bog up the system? We asked Mainzer for his take on it. "That is one of the things that is particularly concerning to me," he said. "I do think that if over time we continue to see more and more development of projects in the Pacific Northwest for California utilities, it may raise the need for some additional transmission capacity down into California. And that is a very, very tricky issue." Our electrical grid is set up along the Western United States with little connection to the rest of the country. In the winter when California is warm and we are cold, California sends electricity back to us. The Bonneville Power Administration is working with California utilities to find ways to stretch the existing electricity transmission capacity between our two regions because building more lines has consequences, especially when folks who live in the path get riled up about the idea of having power lines run right through their property. BPA bumps up against NIMBY in routing new power lines We asked Mainzer if he thought people would end up having their homes bulldozed because of California and he said he didn't think that was likely. "We certainly don't think that that is the case at all," he said. "The I-5 line is actually addressing a much more fundamental set of issues than the wind issues themselves." 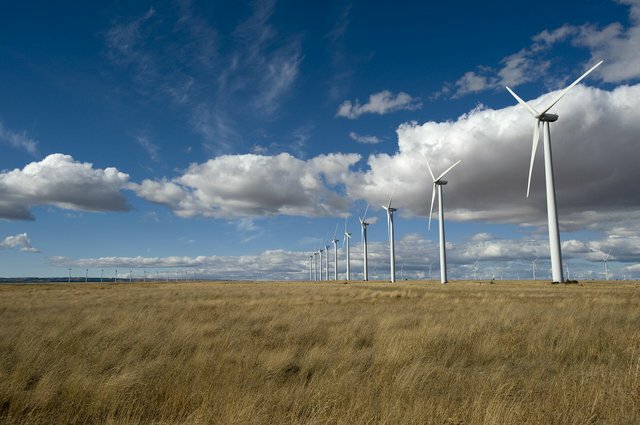 The Bonneville Power Administration insists that the new Southwest Washington line is meant to meet growing local demand for plain old electricity because of population growth, not to make way for California-created wind energy. In the future, they say California's hunger for green power coming from the Northwest will be eclipsed by homegrown green demand. The amount of wind energy we create now is expected to double in the next three years, enough to power a city four times the size of Portland. But the Bonneville Power Administration says we will still need to build other sources of electricity to meet future demand, including geothermal, off-shore wave energy systems and more natural gas plants.